The Winter Garden air conditioning repair and service company that has delivered excellence and has been trusted for over 25 years by homeowners and Winter Garden businesses is DC / AC Air and Heat. We’re proud to bring you service with unprecedented quality to keep you and your loved ones cool and comfortable no matter what kind of weather comes to the Orlando area. 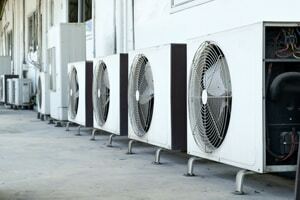 We are fully qualified and trained to repair all models and types of air conditioners and HVAC systems. We also repair heat pumps to help keep the chill away. When you call for service, you know you’re in for an outstanding experience. A company is boosted and receives a stellar reputation because of the high quality technicians they have working for them. DC / AC Air & Heat guarantees that every technician sent to your home or Winter Garden business is exceedingly qualified to do the work, along with being fully licensed and insured. 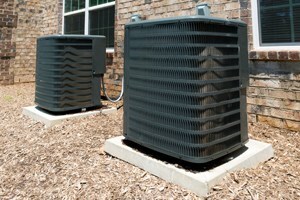 Your technician is knowledgeable in any type of AC service Winter Garden needs for comfort. Our technicians are dedicated to providing expert service from your initial consultation to professional diagnostics, repairs and service. Our outstanding service has earned us the position of winner of the 2017 Orlando Sentinel Best Bets for Best AC Company. We never take this for granted, and we strive for excellence in every Winter Garden AC repair we deliver. Our friendly technicians are known for being approachable, courteous, knowledgeable and professional in every way. Once you call for the free AC repair estimate Winter Garden residents and businesses rely on, you know you have the most affordable AC repair Winter Garden trusts on the way. Contact DC / AC AirConditioning & Heating today for a free estimate. Call (321) 436-6595. It’s critical living in a place like Winter Garden to keep your air conditioning and heating system in excellent running condition. We also strive to keep you up-to-date on all the latest advances in air conditioning technology so you can experience all the best benefits, including possibly lowering your air conditioning and heating bills. You’ll be impressed with the knowledge our technicians have and will share with you. We know that when you turn to experts for a new AC system or to repair an existing system, you have standards and goals you’d like met. You want a system that is environmentally friendly, cost-effective, and one that will give you excellent service in an energy efficient way. You also want the installation and repairs to go seamlessly and for your air conditioning system to give you top-notch service. We share these goals and strive for 100 percent customer satisfaction. The AC repair Winter Garden homeowners and businesses need is delivered by DC / AC Air and Heat professionally and with integrity. AC repair in Winter Garden Florida is too important to our homeowners and businesses to be left to chance or provided in a less than desirable way. You’ll see our dedication to superior quality with every service, repair and installation we deliver. Once we’ve finished working on your AC, HVAC or heating system, we will go over everything that we’ve done with you so you fully understand the repairs and work you’ve had done. We take the time to listen to you and to answer every question you have to your full satisfaction. Our technician will even provide help if you need to fill our forms to receive a rebate for a new system. We look forward to getting the positive feedback from our customers that lets us know that the service and repairs we provide are right on target. It gives us great satisfaction to know that we’ve been able to deliver the expert AC repair Winter Garden residents and businesses need to keep comfortable no matter what the weather conditions bring. We live here too, and we know the unique things that make Winter Garden an exceptional place to call home. We are also well aware of nuances like the rainfall received in the area, humidity and subtropical weather patterns that influence local conditions. 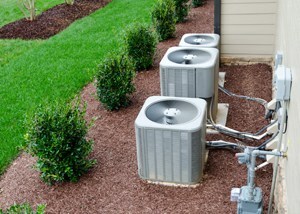 One call to receive your free estimate is all it will take to experience the DC / AC difference. You’ll receive the Winter Garden air conditioning repair relied on for over 25 years by residents and businesses alike. We also believe you’ll be impressed enough to tell your friends and neighbors. This is the goal we strive to achieve with every service call or inquiry.